Saint Louis is a city full of free attractions, and it can be overwhelming trying to decide which ones to explore during your visit. 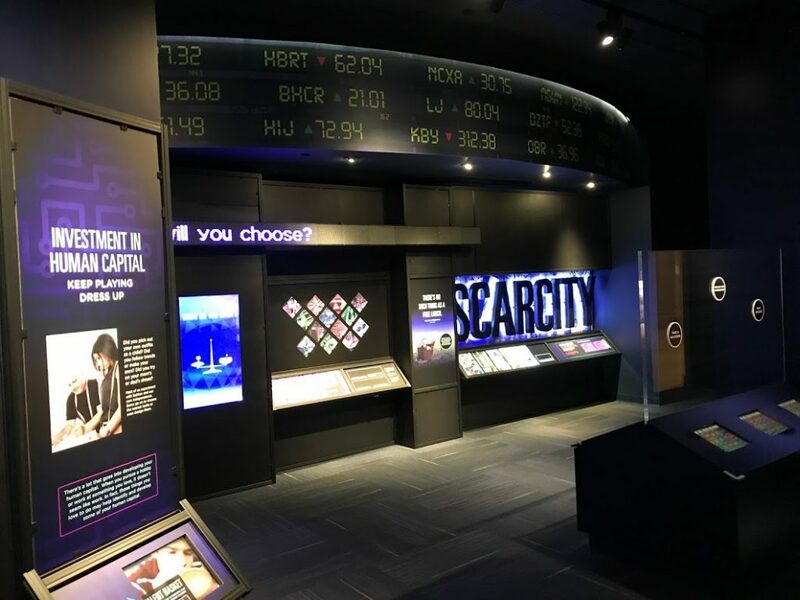 One option that tends to fly under the radar is the Inside The Economy Museum at the downtown branch of the Federal Reserve Bank. Walking through the lobby is a treat in and of itself – with the original look and feel still in place from when it first opened in the early 1900’s. A snazzy opening presentation greets you as you begin your visit, and several galleries of interactive exhibits beyond that. There are fun games that help explain some economic basics, and can even stir up some competition among visitors. On panels around the museum, you’ll find fun facts and quotes. “There is no such thing as a free lunch” among the favorites. With security concerns, tours of the vault are no longer an option, but a specially designed exhibit still provides you with a glimpse. On your way out, be sure to grab a bag of “free money”! The museum provides bags of shredded cash as a reminder of your visit. 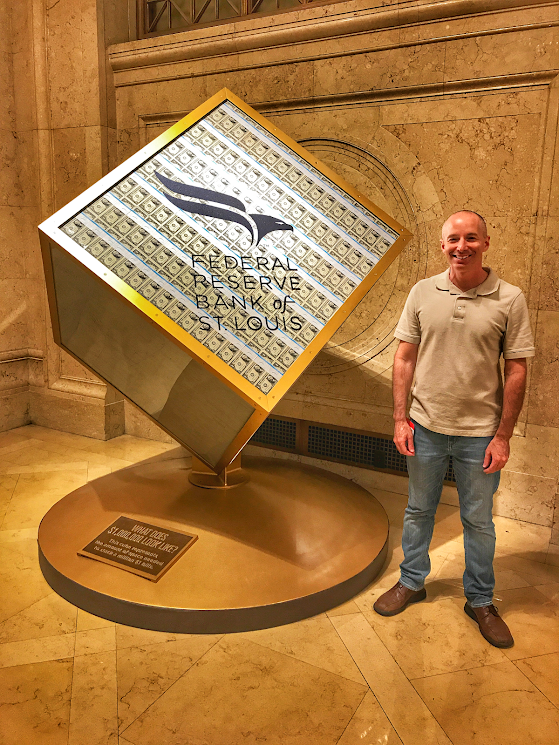 You might also want a picture in front of the “million-dollar-cube”, which shows how much space is needed to hold one million dollar bills. Admission is free, and open to the public throughout the year. You will need to pass through a security check point at the entrance to the Federal Reserve Bank, so be sure to bring a government issued ID. The Federal Reserve Bank has twelve different branches. Each branch has some sort of a museum, most highlighting money and how it’s made or circulated. The St. Louis branch is the only one with curriculum on how the economy operates.